Calendar turned to February and it still keeps snowing from time to time. But we keep believing in anticyclone that will come soon to give us a chance to pedal. Most commonly our previous experience shows that the slower spring is coming, the more active and concentrated on sports we are becoming. Which means that it’s high time to start preparing for the bicycling season right now. You have a bicycle and plan to use it every day, don’t you? 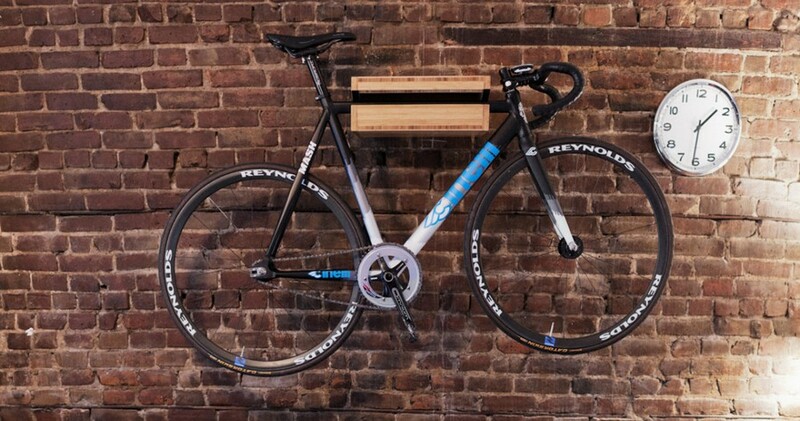 Then it’s worth taking care about a most convenient place for storing your two-wheeled vehicle. That’s what we want to speak about today. 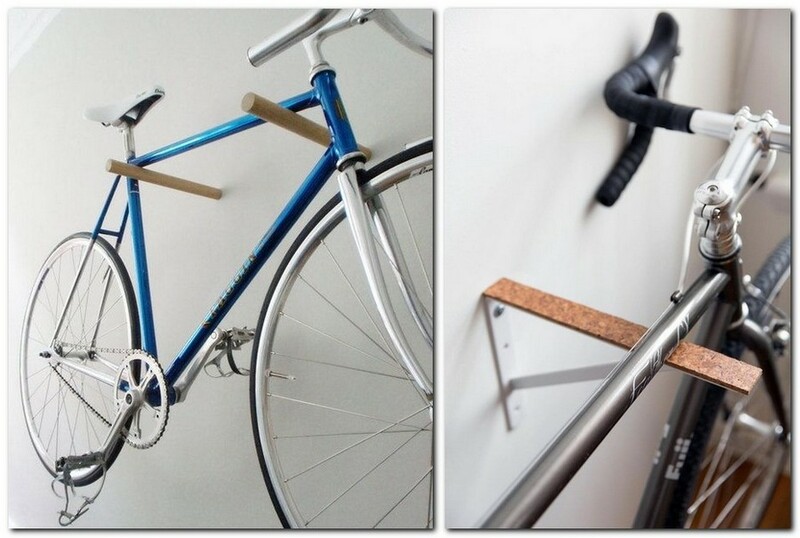 The most logical and obvious option for bike storage is placing it horizontally on some flat surface. Most likely, in your entry room. Here a special stand comes to help – it will protect your walls and flooring from mud. And it’s pretty easy to make it on your own from most trivial materials. 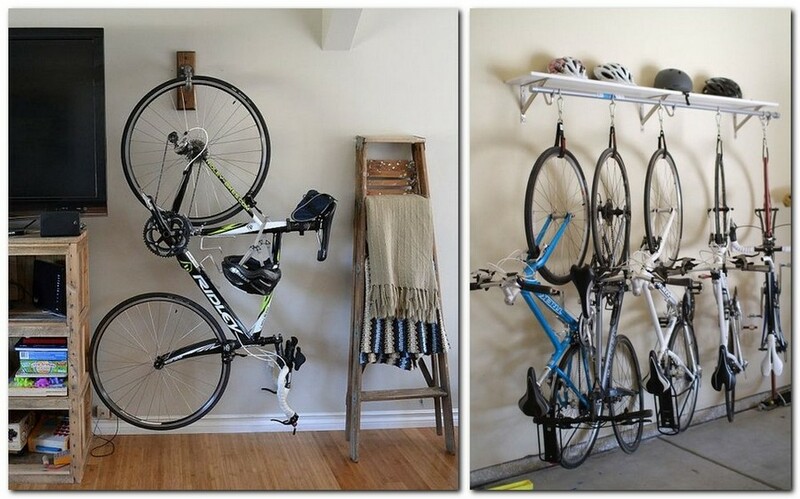 Area permitting, you can hang your bicycle on the wall – there are dozens of racks, hooks and fasteners available for this purpose in hardware stores. 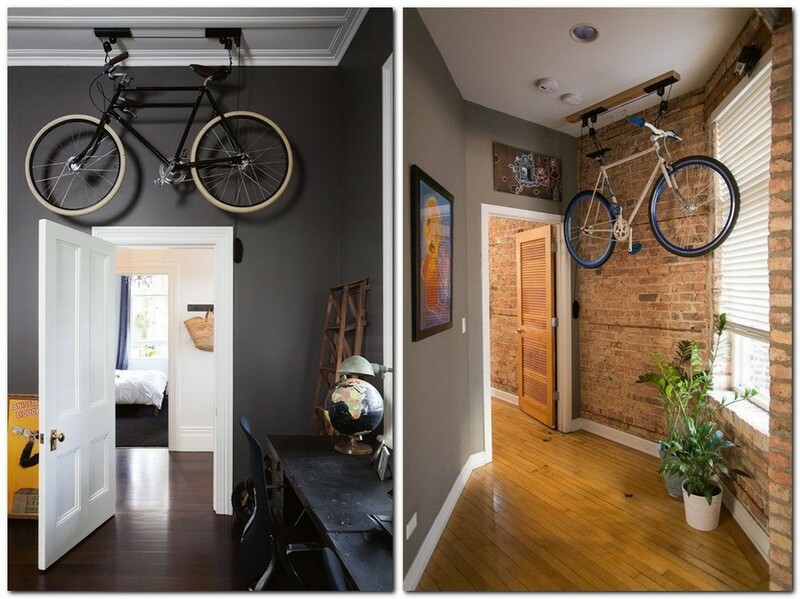 That’s an aesthetical option with a multifunctional note, which allows for using a bike as a temporary interior partition zoning your living space. A bicycle organizer seems to be a genius idea: why keep a bicycle apart from all essential accessories – like a water bottle and a helmet? 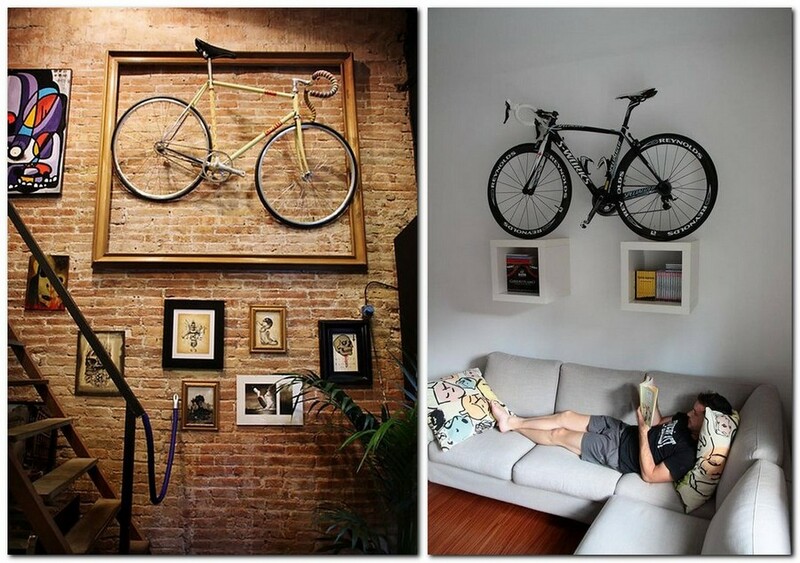 Hanging a bike on the ceiling is not a bad idea. Especially if you can boast a decent ceiling height and a couple of skilled hands, which will manage to install a special mechanism for bringing a vehicle down. Users say that the latter is so easy and user-friendly that even a child can handle it. 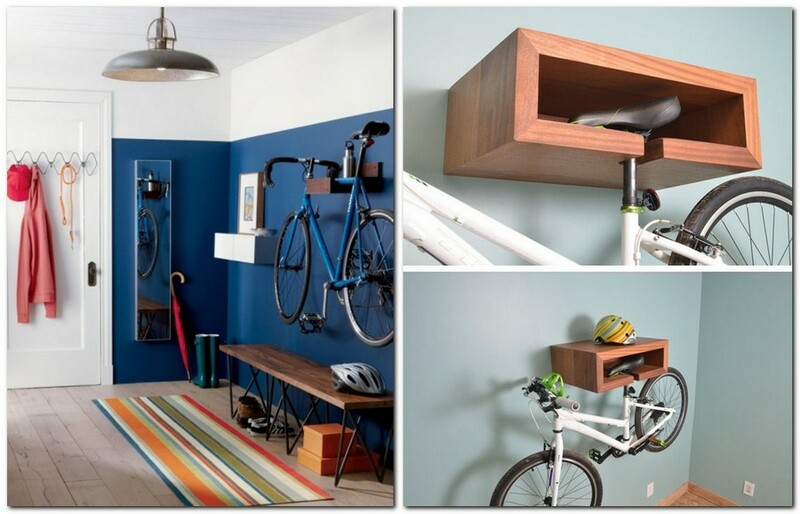 It’s not the most space-saving option, but if you don’t mind it, you can keep your bike in a closet or in a wall recess. 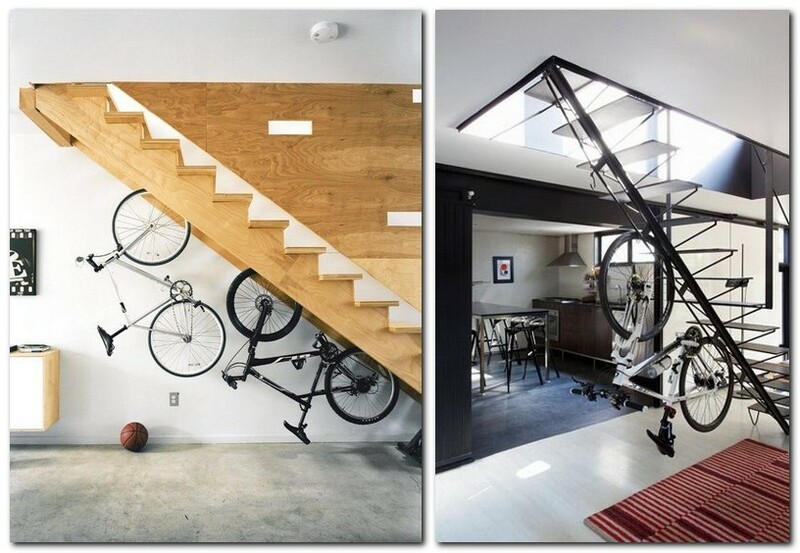 If your house or apartment features a staircase and you still haven’t figured out how to use the space below it, fix the bike rack to the stairs, making sure that it’s safely secured. 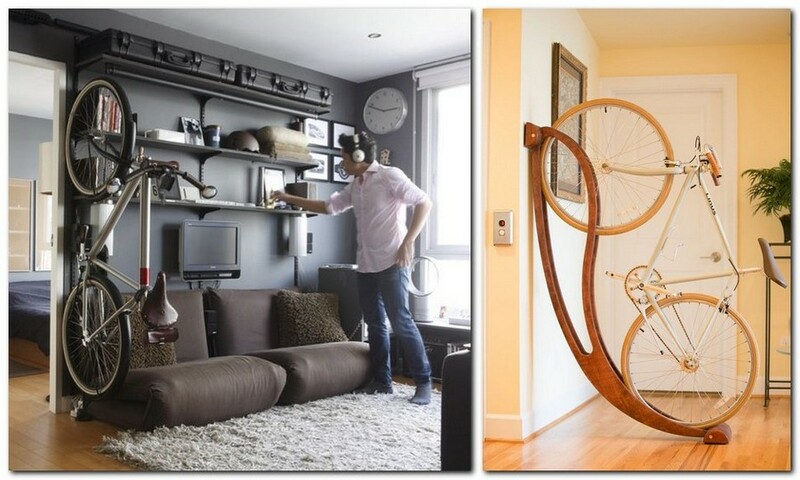 One more nice idea for bicycle storage is hanging it by one wheel. It’s simple, easy-to-use, cheap and pretty stylish. A win-win choice it seems to be!